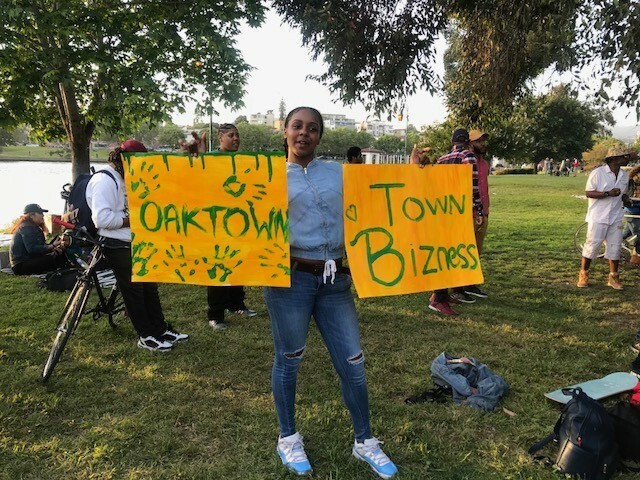 Monday's Briefing: Hundreds Show Up to Lake Merritt for "BBQing While Black"
Since the video of the white woman calling police on Black men barbecuing went viral, residents have been showing up to Lake Merritt in protest. Photo taken May 10, 2018. Saturday Night Live also silently mocked the woman.